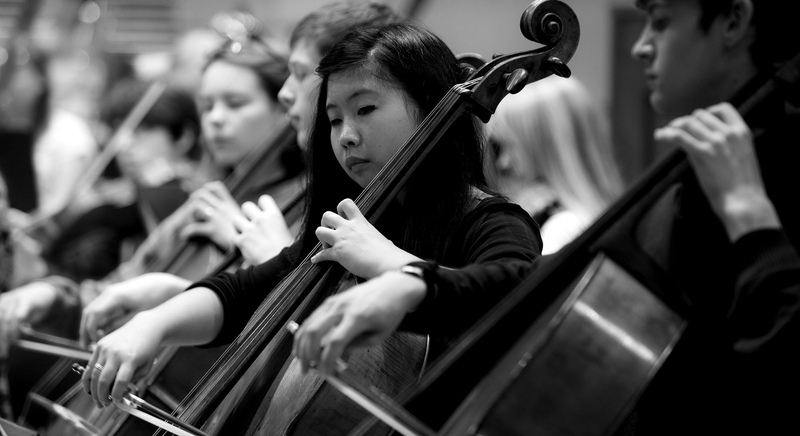 Develop your orchestral skills alongside NYO musicians in this fun pre-concert workshop. For ages 13-19 playing at grades 4-8 and above. Coventry and Nottingham only. Registration essential. (If you're a musician from Solihull, Warwickshire or Coventry you will be invited to participate in additional activity with your music services from 10.30am). This concert will be broadcast on BBC Radio 3 on Monday 14 January, 7.30pm and will be available for 30 days. Stop the world I want to get off! Modern life assaults our senses with an anxiety-inducing barrage of colour and noise, information and distraction. But with brave, bold and brilliant playing the world’s greatest orchestra of teenagers is ready to take it on through music that gives voice to our fears, helps us find hope and brings us together in joyful celebration. And sometimes nothing works better than laughter to show us the absurdity of our fears. Rick Dior’s Science Fiction collects together a Pandora’s Box of classic sci-fi movie scenes, deposits them safely within the confines of the video screen and ties them up in a weird and witty score of percussive beats and bendy electronics that will make you wonder what it was you were so afraid of after all. Then on to a musical portrait of an iconic moment in history. John Adams' Doctor Atomic Symphony pounds our ears with frantic music that captures the high drama and conflicting emotions experienced by the 'fathers of the atomic bomb' in the days leading up to the first bomb test. And finally, something to restore inner peace. Sibelius described his Second Symphony as a ‘confession of the soul’, and while the music hints at dark thoughts, it’s stirring finale will wrap you in uplifting tunes, leaving you with hope and optimism. And we all need some of that.